Eater has a piece this week in which three-star Michelin chef David Kinch complains that on a given night, 80 percent of the dining room can arrive with a dietary limitation for which they request an accommodation. Kinch is a little more nuanced than is the Eater piece itself. He draws a distinction between those asking because of a dietary restriction vs. a dislike. He seems to indicate that the former is more acceptable to him than the latter. I tend to agree. I’ve complained before about chefs who don’t want their vision ruined by customers with health concerns and praised those who are flexible. It’s hard to know how much of Kinch’s 80 percent fall into what he regards as valid reasons and how many not. I suspect he doesn’t even know. It just bugs him. To that I’d say: It bugs me, too. Diabetes and heart disease are no fun, and I’ve got no time for anybody who won’t help me avoid them. So don’t lump me in with the folks who’ve never liked mushrooms. This is real. Here’s the full Eater interview with him. This past summer, a meal at New York’s Gramercy Tavern proved to be a dieter’s dream. The kitchen’s emphasis on fresh ingredients and cooking without a ton of added fat, sugar or salt was impressive. The menu had many healthful choices. 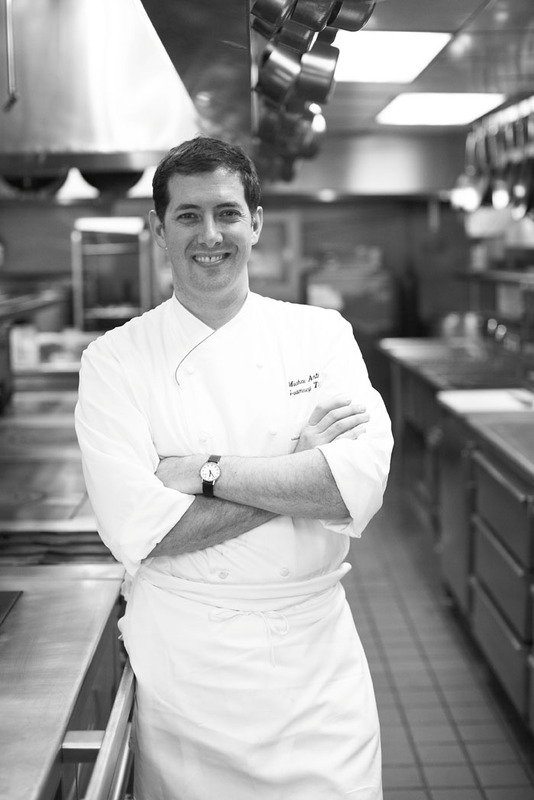 Recently, Executive Chef and partner, Michael Anthony, consented to an interview to explain his philosophy. Does your kitchen consciously keep dieters in mind as menus are prepared? Our esthetic of cooking is to celebrate approachable dishes that leave diners feeling vibrant and energized. We hope everyone who dines with us, whether dieteing or not, will appreciate leaving the restaurant feeling healthy and invigorated. Is that how a great dish like the sea bass with marinated cucumber and yogurt sauce finds a place on the menu? Yes, that’s a great example of a light, wholesome dish that’s connected to a season. The dish celebrates Persian cucumbers — it’s seasonal, not over-manipulated, and has a distinct story. Can you tell me anything about the history or the process that resulted in that dish? I was fascinated with the idea of serving a cold entrée. This one is all about the layering. The base is cucumbers that have been salted and marinated with Konbu to show off their texture. Over that goes the gently sautéed fish. Next, we layer different cuts and varieties of cucumber over the fish to amplify and celebrate the flavors. With this method of preparation, the cucumber is the star of the dish, while the fish plays a supporting role. We’ve found that an entrée that is served entirely cold isn’t always an instant hit with diners. So, we chose to introduce a little bit of warmth to the dish with the fish, providing diners with something familiar and comforting to quiet the surprising coolness of the cucumbers. It had a ton of flavor, but from what I could tell, very little fat. Is that true? Can you tell me approximately how much butter, fat or oil there would be in a serving? There’s not much fat in the dish. The Labne yogurt has a small fat content: we use about 2 tablespoons of the yogurt for 1 portion of fish (with 5g of fat per 2 Tbsp yogurt). We use a touch of olive oil and butter to glaze the fish in the pan, and we season the cucumbers with a splash of olive oil, but very little olive oil and butter land on the plate. What’s your philosophy in the kitchen when it comes to the three foods that cause dieters the most distress — fat, sugar and salt? Everything in moderation. We need these ingredients to prepare certain dishes, but their overuse is a mishandling of flavor and product. Why do you think so many restaurants go heavy on the fat, salt and sugar? To seduce guests. These are elements that most people have instinctual cravings for, so using these ingredients is an easy way for restaurants to appeal to diners. Dr. David Kessler, former FDA commissioner, has written that the restaurant industry uses them because they are addictive, but isn’t another factor cost? As seasonings go, fat, salt and sugar are inexpensive, aren’t they? When you consider these categories as commodities, yes, but that doesn’t tell the whole story. There are ways to lessen the use of fat, salt and sugar without compromising the budget. We thoughtfully source unprocessed foods to use as ingredients, and then we use them sparingly to tell a distinct story that highlights what is grown regionally. Or would you say that’s a crutch — that chefs and home cooks can season inexpensively using other ingredients? There are other ways to think about cooking flavorful foods. We can look to other cooking traditions to find healthy, exciting and delicious preparations that involve relatively inexpensive seasoning ingredients. Chefs and home cooks can choose to work with whole grains, fresh vegetables, and pickled or fermented ingredients to build delicious flavors. We can also rethink the role that protein plays in the daily diet. Is it a function of cooking training? Intense flavor can be coaxed out of other ingredients, but it takes time and some knowledge to too do so, doesn’t it? Any good cooking takes practice and attention, but it doesn’t have to be complicated. Contemporary American cooking can inspire the way that everyone cooks, and can teach accessible techniques like using light broths, relying on produce that is in season, and avoiding heavy fats. I found the Gramercy menu pretty accommodating for a dieter, but what if I hadn’t? How willing is the kitchen to alter or change dishes to suit a dieter? Our goal is to make guests happy and provide a personalized experience, so we are happy to adapt to guests’ dietary requests. Do you have to worry about weight yourself? If so, how do you manage it personally? I’m not overly concerned about my weight; I try to eat well and exercise. The biggest dietary vice for me, as with many people in this industry, is eating late at night. It’s a difficult habit to break. Not everyone can afford to eat at Gramercy Tavern. Where would you go to eat out healthy in New York? How about at a national chain restaurant? Any recommendations? When I have the chance, I like to have lunch at City Bakery, right down the street. They serve simple foods from the Greenmarket that are satisfying yet healthy.